Planning your trip | Northern Wilderness Outfitters Ltd. 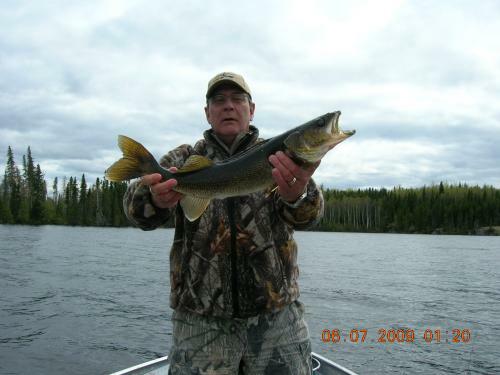 In Fort Frances, Ontario, Einar's Foods will pack your groceries and supplies for you. They will deliver all your supplies to the airbase so everything will be ready to go when you arrive. You can contact Einar's Foods at 1-807-274-5368 or fax them at 1-807-274-5369. Ask for Brian or Nancy. We also offer a "No Hassle" food package available at a cost of $95 per person. If you want us to supply the "no hassle" food package for your party we will do so at the nominal cost of only $125/person. We will send you a grocery list with all the meats, vegetables, fruits and dry goods that we will supply, nothing more, nothing less. If anyone in your party thinks that they need more of something you can bring it with you. For anglers whom fly commercially with Northwest Airlines into International Falls, Minnesota, and the anglers who do not want to take the time to shop this is a great convenience. Every fishing boat in Ontario must have a boat safety kit in it. This kit must have a 50' floating rope, a small flashlight, and a whistle. We suggest that everyone bring a kit with you. For those of you who do not have the time to put a boat safety kit together we do have them for rent at the airbase before you fly in. NORTHERN WILDERNESS OUTFITTERS WILL SUPPLY ALL THE ABOVE GROCERIES FOR A NOMINAL FEE OF $125 U.S/PER PERSON. IF YOU THINK YOU NEED MORE OF ANY OF THESE ITEMS BRING THEM WITH YOU.